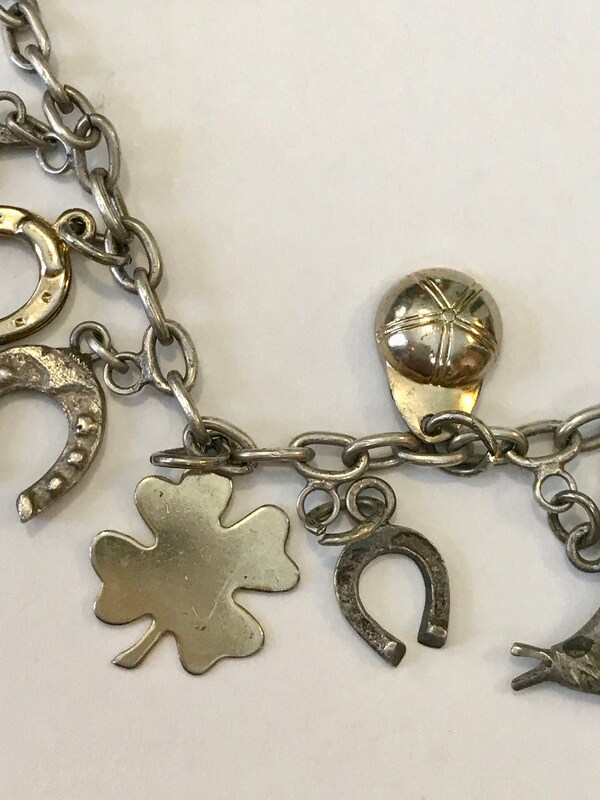 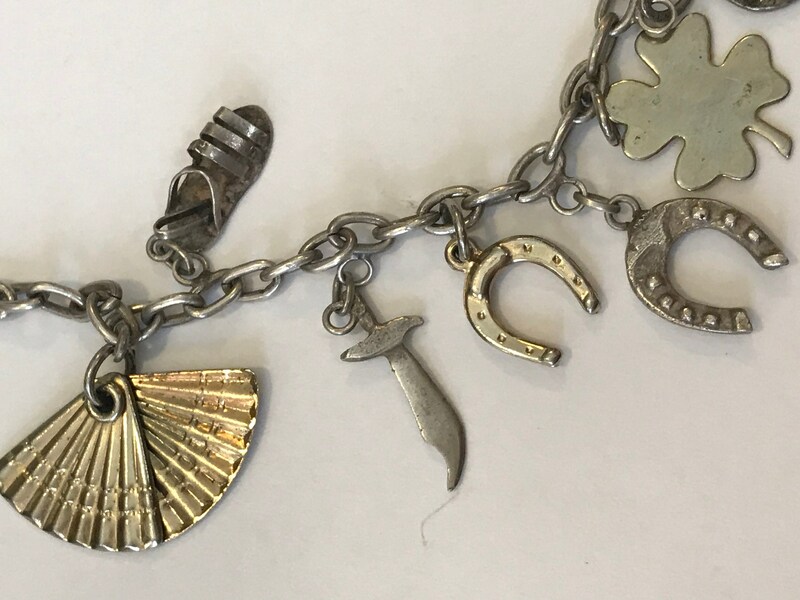 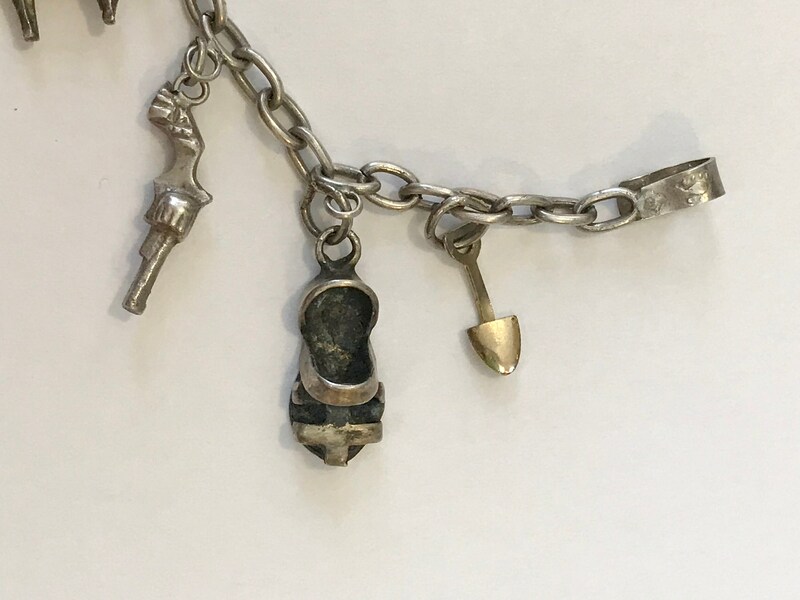 1930's - 1940's Mexican charm bracelet with 7 original silver charms and 5 miscellaneous additions- a very nice collection, please see photos. 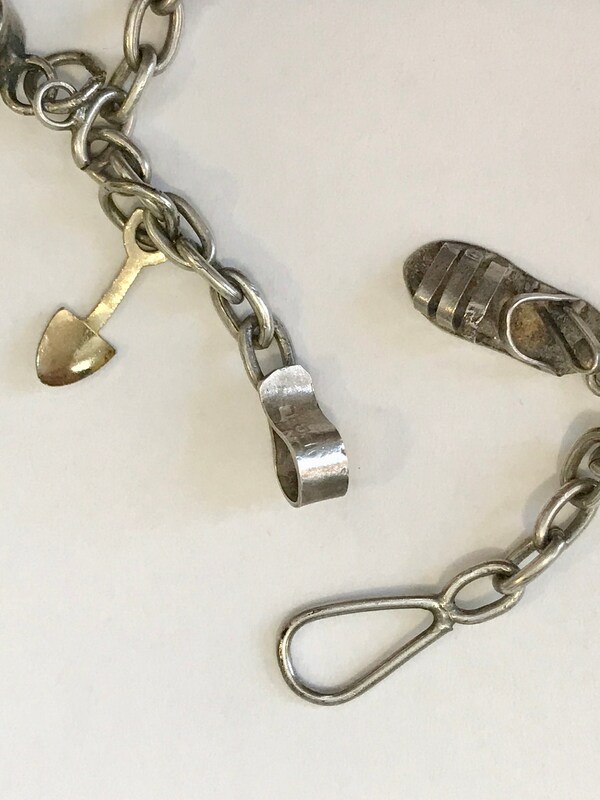 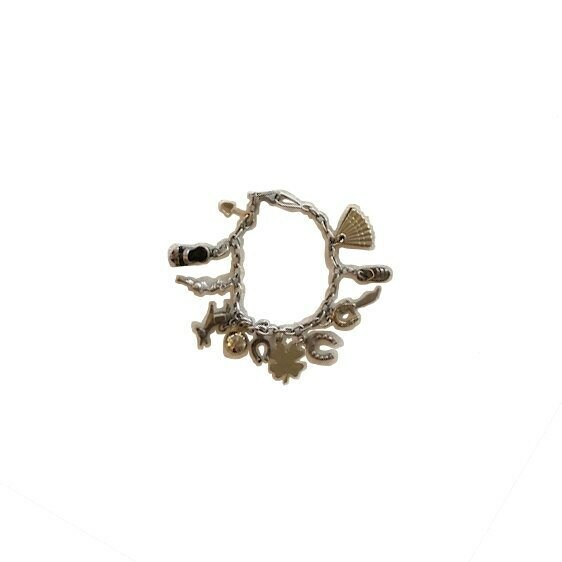 The bracelet is approximately 6.5 " in length and varies in width, but all under an inch. 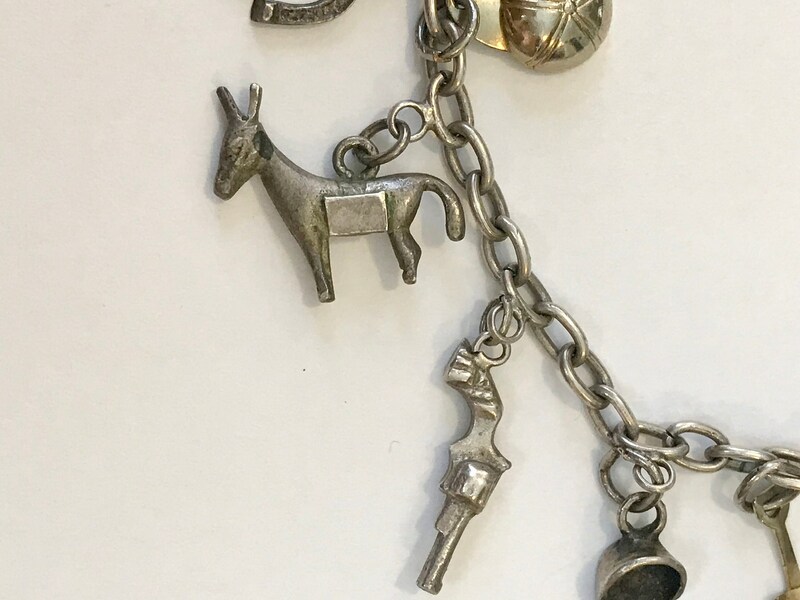 It weighs about 14 grams. 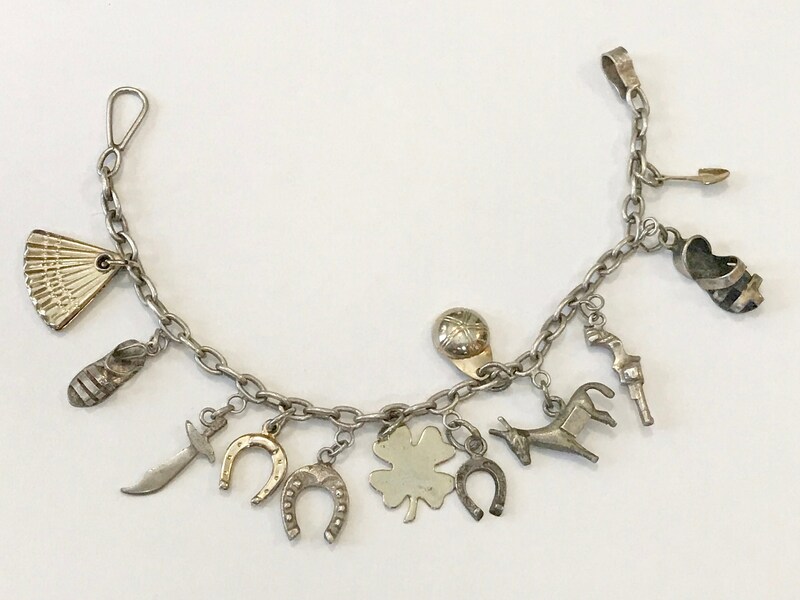 Stamped with a horseshoe and Hecho en Mexico.